• Football’s signing day has always been in early February. At least as long as I can remember, and in this egocentric age, that’s all I care about. It is a perfect time. College football season is over. The NFL’s as well. College basketball is in the middle of the interminable conference season, with March Madness nearly a month away. The weather, around here anyway, is always awful in early February. It’s either tongue-sticking-to-the-flagpole cold or so foggy the first flight to land at Spokane International comes in at 3 p.m. Heck, we won’t see a crocus around here for weeks. We need something to look forward to. And, viola, the NCAA gave it to us. A video camera on a fax machine. Now that’s drama. This time of year? Are you kidding? With presents to buy and movies to see – anyone watched that “Last Jedi” thing yet? I’m still trying to find the time – this week is probably the most hectic of the year. And someone thought it would be a good idea to throw a signing day in the middle of it. • The Cougars are playing in the Spokane Arena tonight, meeting Kansas State in one of the better nonconference games in the area this season. One of my favorite basketball-watching memories revolves a Cougar game in the Arena. It dates back to January of 1996, a simpler time when UCLA was really good and Washington State was too. Kevin Eastman was in his second year as the Cougars’ coach and his team was headed to the NIT. UCLA was the defending NCAA champion and Jim Harrick, who I watched coach high school basketball in Southern California 20 years before, had another tournament-bound team. My eldest was 11 and loved Toby Bailey. I bought two tickets. We sat in the rafters in a busting-at-the-seams-crowded Arena. It was a great game, loud, physical, intense. UCLA won, 78-73. My kid was on the edge of his seat the entire time, even if the players, from where were sitting, looked to be about the size of those vibrating electric football guys. That’s not going to be the case tonight. But, hopefully, the Arena will have enough Cougar fans in it to make it worthwhile for Washington State. Actually, with the crowds the 7-3 Cougs have been drawing in Pullman (the largest home crowd has been listed at 3,183), anything would probably be acceptable. WSU: Theo Lawson will be busy today. In fact, he has a live thread he’s updating with Cougar football signees. Then he has to be up in Spokane for the 8 p.m. game. He has a preview of that contest while Whitney Ogden adds a story on a Kansas State alum who has become a crucial part of Spokane’s sports scene, Danny Beard (pictured). … Robert Franks earned some national publicity this week. … Back to football, Jim Allen has a first look at the Cougars’ Holiday Bowl opponent, Michigan State. … The quarterback of the future, Cammon Cooper, was one of the first players to sign his LOI today as the early period began. Elsewhere in the Pac-12, UCLA almost lost at Pauley last night and USC did lose at home. Both were unexpected. … Arizona got some good news on the injury front. … Nike folks help Oregon. Now that’s unexpected. … Arizona State is 11-0. Now that’s really unexpected. … Washington won in a rout last night. … California won at Seattle U. … The Ducks have changed their starting lineup. … Winning is not foreign to one Colorado player. … In football, Oregon’s assistants are making a lot more money. … Clay Helton is enjoying the final few practices with the USC seniors. … Utah’s kicker has some help. … Washington is reaping the rewards of success. Now can the Huskies win their bowl game? … How did the Pac-12 Hotline do in its football predictions? 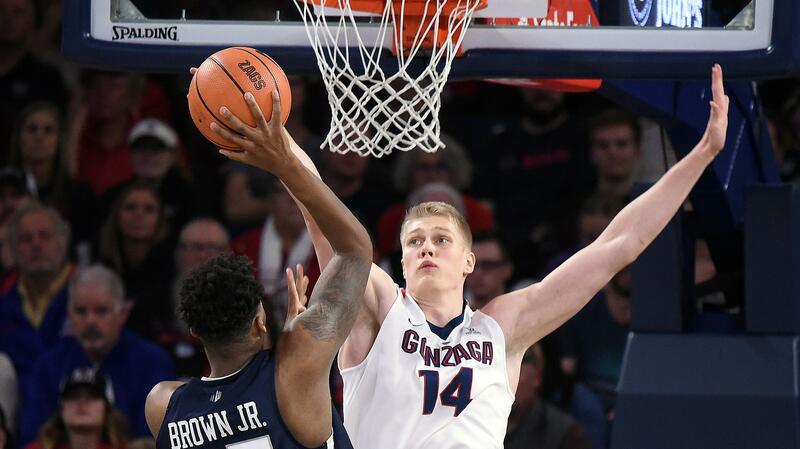 Gonzaga: If you’ve been watching the Zags over the past few years, you’ve noticed a continuing improvement in their defense, culminated in last year’s squad that was one of the best in the nation. But this season there has been some slippage. Jim Meehan has a story concerning the recent defensive slide and what is being done about it. … Around the WCC, Portland picked up a home win. … Saint Mary’s plays a lot, and wins a lot, of home games. … A change in attitude may make BYU a threat in the conference. EWU: The Eagles, and Big Sky player of the week Bogdan Bliznyuk, won’t overlook their NAIA opponent tonight. At least they say they won’t in Jim Allen’s preview. … A couple of Eastern football players were honored. … Elsewhere in the Big Sky last night, Weber State defeated Pepperdine, Montana and Northern Colorado also won and Southern Utah lost. Whitworth: The Pirates entered last night’s home game with Wheaton undefeated. They left it with a loss. Jim Allen has the story on the 92-84 defeat. NIC: The Cardinals won last night in Coeur d’Alene. 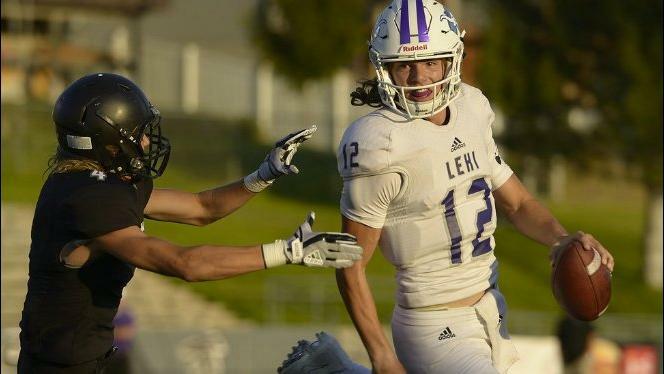 Preps: It was a typically busy Tuesday night in the prep sports world, with Dave Nichols at Shadle Park for Gonzaga Prep’s 76-48 GSL basketball rout. We can also offer girls and boys roundups. Seahawks: Here’s something we figured out about 10 minutes into Sunday’s game with the Rams. … The Pro Bowl players were announced yesterday and Jimmy Graham was one of four Seahawks selected. Raise your hand if you are surprised. My hand is up. 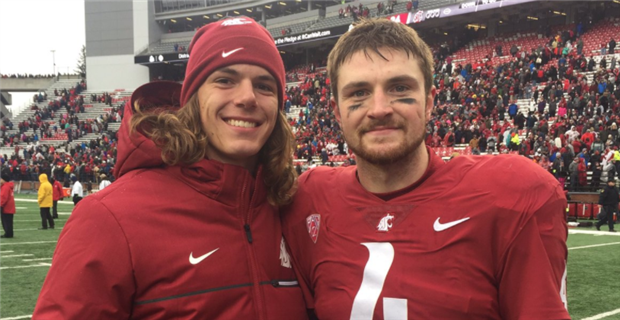 … The Hawks waived a former WSU player. … There are still questions after Sunday's debacle. Sounders: Seattle announced some of next season’s games. Published: Dec. 20, 2017, 8:46 a.m.